Mojave Sound Art is an organization based in the High Desert of Southern California dedicated to connecting artists with an interest in sound as a medium who are living and/or working in the Mojave Desert through programming and events with a focus on promoting responsible stewardship of the desert ecology. The vastness of the Mojave Desert is transfixing. It captures the hearts and the imagination of many. Upon moving to the high desert, I was taken back by the silence, by how sound moved within this wide open landscape. The profound resonance of this space humbled me as an artist and I found myself quite reserved to add anything to the natural beauty that surrounded me. I quickly entered a space of deep contemplation as my pace in life began to match the new environment I was in. Geologic time, the juxtaposition of nature’s delicate hand and its iron fist, all of life at its extreme, it is a place where you come face to face with the most challenging elements of nature as well as the innermost parts of yourself. The depth of beauty and character, the spirit of the land slowly unfolds with both subtlety and grandeur. Its pace being a gift allowing for significant reflection, meditation and transformation. The Mojave Sound Art evolved out of my reflection upon the longevity of living and creating artwork within the vastness of this landscape. After 22 years of living in the San Francisco Bay area, I moved to Wonder Valley in December of 2016 to pursue working on large scale sound art installations and to allow a new chapter of my art practice to unfold. 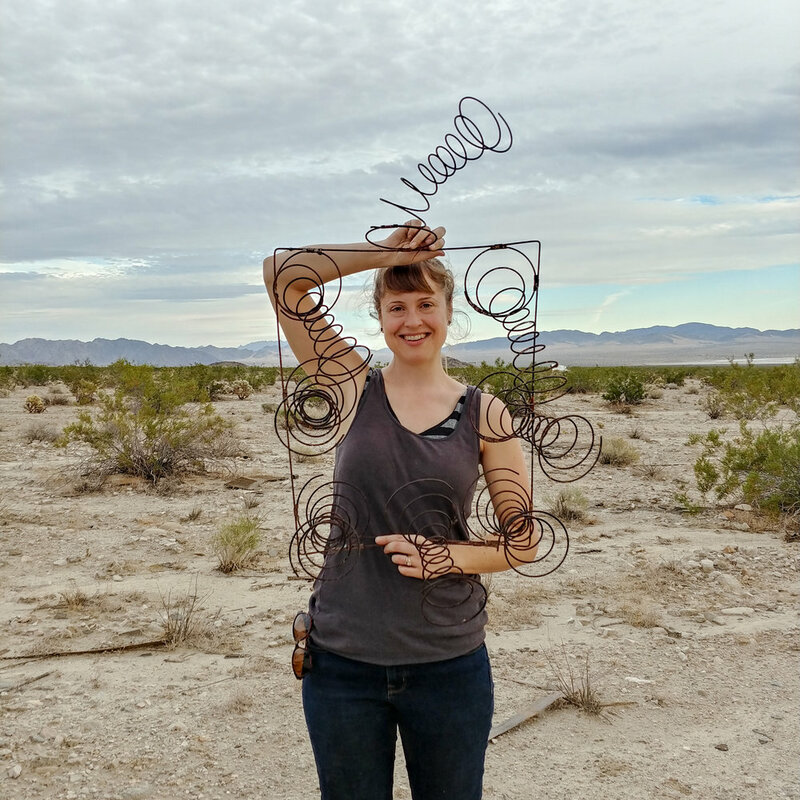 My work in the Mojave is an experiment in art and habitation on an ever hotter planet. We live in a crucial point in history when our relationship to the weather is changing and it affects every aspect of life and health. In a nation that is divided and drawn to extremes, perhaps it makes sense to go even further? 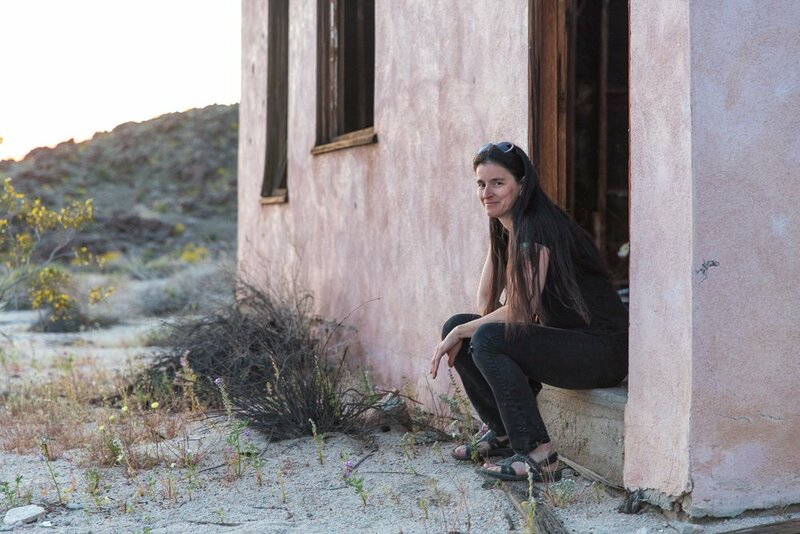 I’m interested in the desert as an extreme choice- the resources that artists seek here are difficult to quantify in economic terms and exist in the perception of the beholder. The physical and psychological isolation of the landscape provides the psyche with a resource that cannot be commodified. The participatory experience cannot be sold, shipped or auctioned. The work we are doing here happens live- in this space- with a unique relationship to time and presence. The desert is a place where the effects of presence are felt profoundly; where traces of movement stay; where sound carries long distances, often unimpeded. Time, space and scale operate differently here: I often find myself stopping to watch the light shift over the land, or to listen to the air move through the creosote bushes. It’s simultaneously a place of delicate beauty and harsh indifference. The sun and wind seem to unceasingly turn wood, plant fiber, fabric, and flesh brittle. Then the rain comes, and there, where once was a tangle of dry sticks, sprouts a new growth of small green leaves and blossoms. Survival in the desert is often method of creative invention, a synthesis of lessons taught by the place itself. The artworks I make are increasingly informed by this place: they are instruments for listening, tools for interface, places of contemplation, and hopefully venues for education: I have much to learn.